It’s hard to believe we’re already done with the first quarter of 2019. 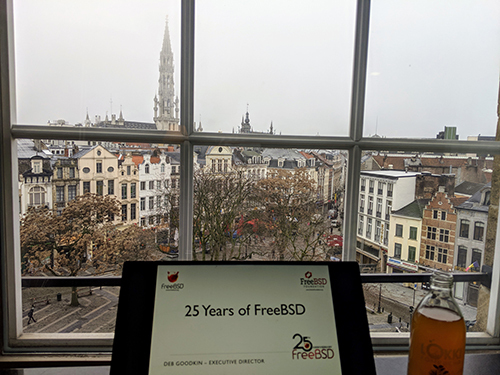 The Foundation team has been very busy promoting FreeBSD around the world, helping our interns contribute back to the Project, and setting up partnerships that will benefit both the Project and the community at large. We’ve even launched the first free version of the FreeBSD Journal. We’re excited to see the momentum carry us into the next quarter. Take a minute to learn more about how your support is directly impacting FreeBSD. 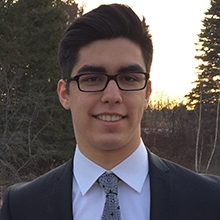 In January, two new University of Waterloo co-operative education (co-op) students started working in the FreeBSD Foundation’s Kitchener-Waterloo, Ontario office. Now that we’re over half way through the work term, I’ll describe some of the work they’ve done so far, and what we expect over the next two months. 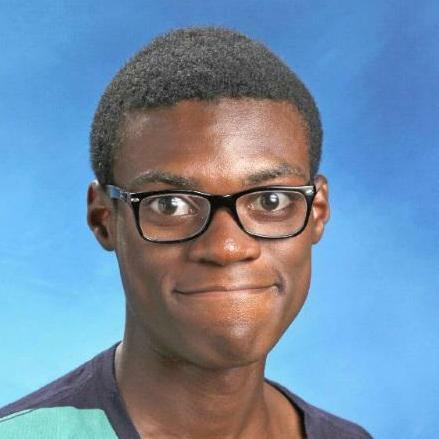 Gerald Aryeetey is a 2nd year Computer Engineering student. As an introductory project he looked at a FreeBSD Tool Chain issue – our static library archiver (ar) does not process 64-bit archives. This required a [change to the libarchive library] which has now been committed upstream. Once a new version of libarchive with this support is imported into FreeBSD the [corresponding change to ar] can be committed. After becoming familiar with the FreeBSD build process, issue database, etc., Gerald reviewed the list of outstanding issues in FreeBSD-update, our binary update tool. He submitted a number of changes, around ten of which have since been committed to FreeBSD with several more to be reviewed. More recently Gerald started working on our hardware Continuous Integration (CI) setup, exploring FreeBSD build and test on a number of embedded Arm boards such as the Pine64, Raspberry Pi, BeagleBone Black, and others. Gerald used an Arduino Leonardo to create a power controller, so the boards can be automatically powered on and off for testing. He found a few issues with the Arduino Integrated Development Environment (IDE), which are being discussed with the maintainer of FreeBSD’s Arduino ports. Working with Li-Wen Hsu, Gerald will next set up a Jenkins instance to build and execute tests on these devices. Bora Özarslan is a 3rd year student in Computing and Financial Management. Bora also started investigating tool chain issues in FreeBSD, starting with some improvements to ELF Tool Chain’s readelf. Bora added support for decoding the DT_FLAGS/DT_FLAGS_1 ELF fields, which is important as we have started making use of these flags in FreeBSD. Bora also has changes to improve the performance and correctness of readelf’s DWARF debugging information decoding. These changes have just finished review and will be committed soon. Next, Bora investigated kernel core dumps and the path to adding support to LLVM’s lldb debugger. Full support in lldb is a large undertaking, but as a step to the solution he has implemented a [tool] to convert FreeBSD’s kernel minidump format into an ELF dump. This involved identifying a number of issues in FreeBSD’s kvm_walk_pages interface, with fixes in review. Bora also developed a small tool to set the feature control bits in FreeBSD’s new NT_FREEBSD_FEATURE_CTL ELF note, which will be used to tag binaries for mitigations such as ASLR. Bora is now moving to security topics, looking at applying Capsicum sandboxing to Kristaps Dzonsons’ new BSD licensed rsync implementation, openrsync. I look forward to the final month of excellent contributions from these two students. I want to begin with giving a big shout out and heartfelt thank you to the organizations who have committed to or given a donation so far this year! First, I want to say thank you to Tarsnap, run by Colin Percival, who over the past 7 years has given his December profits to the Foundation. We received a generous $75,000 donation from Netflix, with a third of the donation designated to our Women in Coding initiative. We also have commitments from Intel, Stormshield, and VMware. I’m very excited that we are starting the year off with some positive support. I believe most of you are aware of the Foundation partnership program we started a couple of years ago. However, recently it has come to my attention that some folks might be confused as to what exactly it means to be a Foundation Partner. So, I thought this would be a good time to highlight the program. The first thing I’d like to point out is that we are a public charity, which in the US, would fall under the IRS ruling of being a 501c3. This is a very different thing from a Trade Association, which is what the Linux Foundation is classified under. Trade Associations are membership organizations and their focus is to support the commercial users. While it’s not prohibited, we officially don’t have members or partners. Instead, our focus is on the public good, specifically supporting the FreeBSD Project and community. We value these partnerships, and believe they are important for the growth and innovation of FreeBSD. However, I want to be very clear that, becoming a Foundation Partner does not give an organization a seat on our board of directors, nor does it provide any special privileges of receiving support or adding their specific features or functionality to FreeBSD. No matter the amount of a donation, we do help facilitate collaboration between corporate users and FreeBSD developers. We are here to benefit FreeBSD, and part of that is to act has the intermediary between corporate users and the Project when helpful; encourage companies to upstream their changes; and to understand the technology trends of the future to help inform the Project. Though I’m highlighting the partnership program and our corporate donors, it’s the individual donors that drives us. Not only do those donations help us keep our public charity status, but more importantly, it shows that individuals recognize the importance of FreeBSD, and want to help provide the financial support we need to continue the work we do. During the month of February, the FreeBSD Release Engineering team continued providing weekly development snapshots for 13.0-CURRENT, 12.0-STABLE, and 11.2-STABLE. During the month of March, the FreeBSD Release Engineering team continued providing weekly development snapshots for 13-CURRENT, 12-STABLE, and 11-STABLE. FreeBSD 11.3 will be the fourth release from the stable/11 branch, building on the stability and reliability of the 11.x series, currently targeted for final release in early July 2019. It’s here and it’s free! The January/February 2019 issue of the FreeBSD Journal is now available. 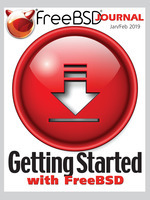 The issue focuses on Getting Started with FreeBSD. What better way to share that message than by making the FreeBSD Journal freely available. If you currently view FreeBSD Journal on one of the mobile apps, please ignore any renewal reminders you may receive and check out our FAQ for more information on how to sign up for the free, browser-based edition. While you will still be able to access the Journal on your preferred mobile app until Dec. 31, 2019, we ask that you move to the browser-based edition to take full advantage of the new features. We look forward to bringing the FreeBSD Journal to a larger audience and we hope you’l share your favorite articles. This year has been off to a busy start for me. In January, I travelled to Bhutan to represent FreeBSD at SANOG-33 (South Asia Network Operator Group). I taught a ZFS workshop and had many productive hallway track conversations with people from the region interested in FreeBSD. I was invited back to teach a FreeBSD course at a university later this year, possibly to coincide with BtNOG-9 (Bhutan Network Operator Group). After SANOG-33 in Bhutan in January, I went to Korea in February for APRICOT – the Asia Pacific Regional Internet Conference on Operational Technologies. APRICOT is a very busy conference and goes on for two weeks. During the first week, I had several meetings with FreeBSD users. I also made arrangements for some workshops later in the year. During the second week, I taught a ZFS workshop again and presented on the FreeBSD security advisory process in the FIRST TC track. I also met our mirror site hosts from South Africa and Malaysia at APRICOT. With Foundation funded hardware on the way, our new mirror site in Johannesburg will go online in the coming weeks. I joined the FreeBSD Foundation specifically to improve the visibility of FreeBSD in parts of the world where we are historically under-represented. Teaching at non-BSD conferences in all corners of the world is a great way to reach new users and contributors. It is very rewarding when teaching and presenting at annual events, to meet people who are trying out FreeBSD and introducing it in their organizations. Especially rewarding is that I am increasingly asked by people I meet how they can contribute back to FreeBSD. The January/February 2019 issue of the FreeBSD Journal is now available. It’s free! The issue focuses on Getting Started with FreeBSD. Tarsnap is an online backup service for BSD, Linux, OS X, and other “unix-like” operating systems. I started work on Tarsnap in 2006 when, as FreeBSD Security Officer, I was worried about the security of the information (such as unreleased security advisories) on my laptop; this resulted in a design for a backup system which inspired the tagline “online backups for the truly paranoid”.